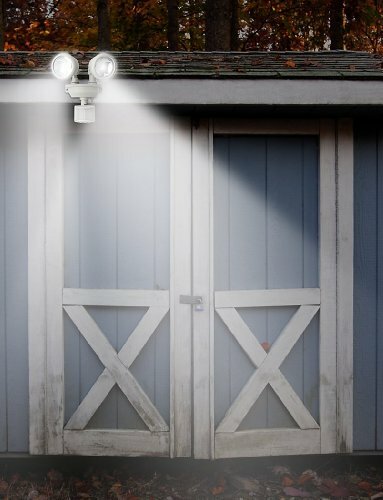 Perfect for entryways, walkways, sheds, patios, balconies, decks, steps, garages, carports, and backyard and farm sheds. 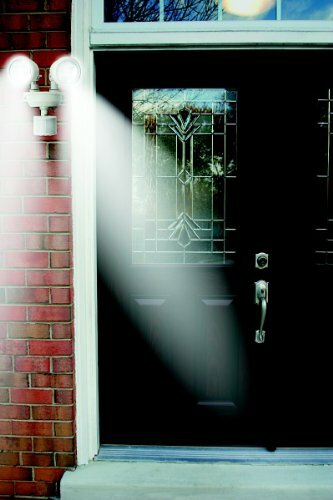 Detects Motion Up To 40-feet Away Within A 180° Area and dual adjustable light heads mean you can cover two areas at once! 4 Super Bright 0.5 Watt LEDs produce over 160 lumens in total to light your way. Solar Powered and easy DIY installation means no electrician is needed. 3 Rechargeable NiMH Batteries provide up to 90 one-minute activations when fully charged. Please refer to page 5 of the user manual for trouble shooting steps. 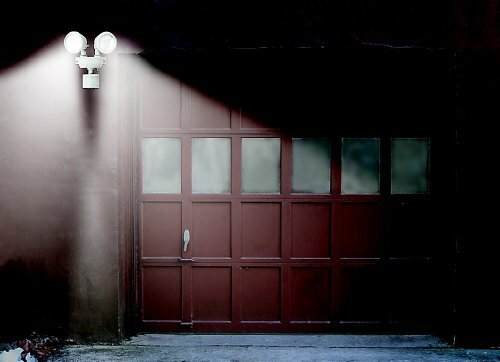 The Motion-Activated Dual-Head LED Security Floodlight is perfect for porches, doorways, or around the house. It has no operating costs and no electrician is needed for installation. 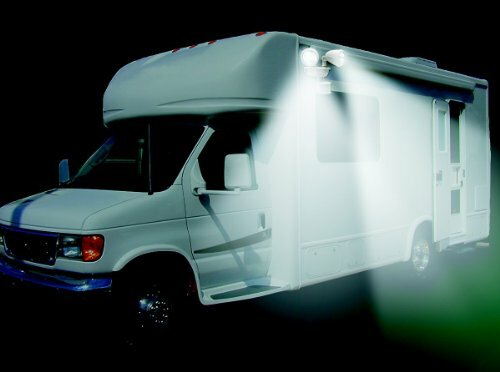 The light automatically turns on when motion is detected at night. 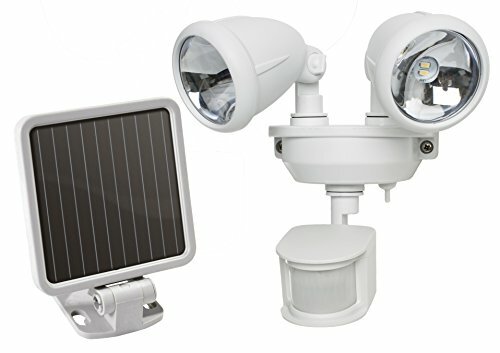 An adjustable PIR sensor detects motion within 180 degrees and up to 35 feet away. Bright LEDs and a silver reflector create bright illumination in the coverage area. 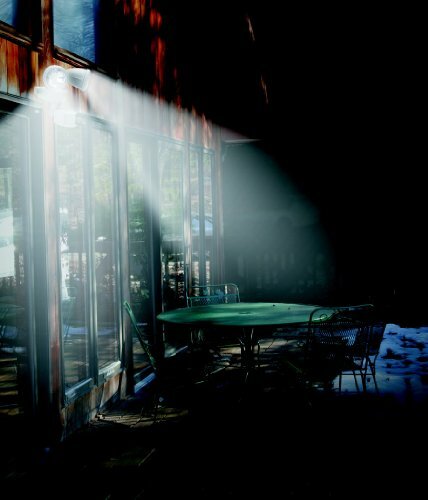 Illumination duration, motion sensitivity, and LUX (daylight sensitivity) are all adjustable.About the Manufacturer MAXSA Innovations is dedicated to creating unique and truly innovative products. MAXSA Innovations products are designed to protect you, ensure your safety, keep you comfortable, and enhance your overall enjoyment of life. Its products are designed to be dependable, easy to install, and easy to use. Easy DIY installation - no wiring or electrician required. Uses free energy from the sun - no operating costs. Adjustable illumination duration and sensitivity. Dual-swivel head and adjustable sensor. Durable weatherproof housing. Includes rechargeable batteries. Measures 9L x 8W x 10H inches.